EBU STL Viewer Pro solution provides a structural representation of the EBU STL subtitle file container. Supported is the original Subtitling Data Exchange Format according to the European Broadcasting Union (EBU) specification (.stl). 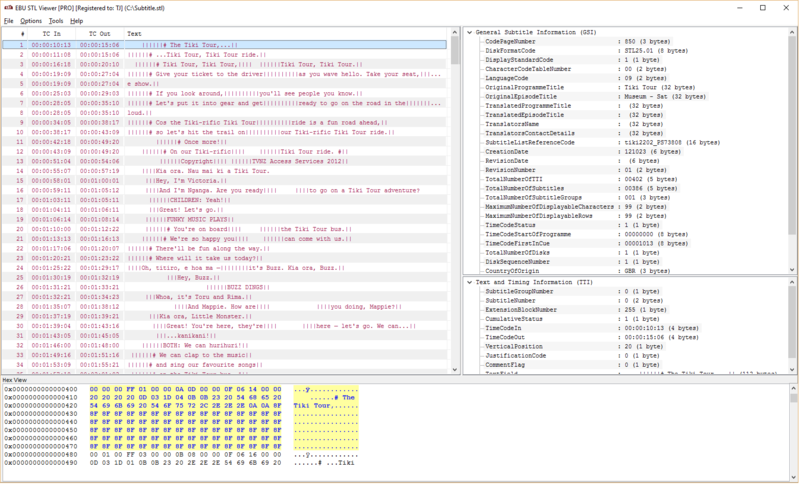 Binary hex view is available along with the General Subtitling Information (GSI) and Text and Timing Information (TTI) blocks tree view. Binary hex data editing of GSI and TTI blocks is available. 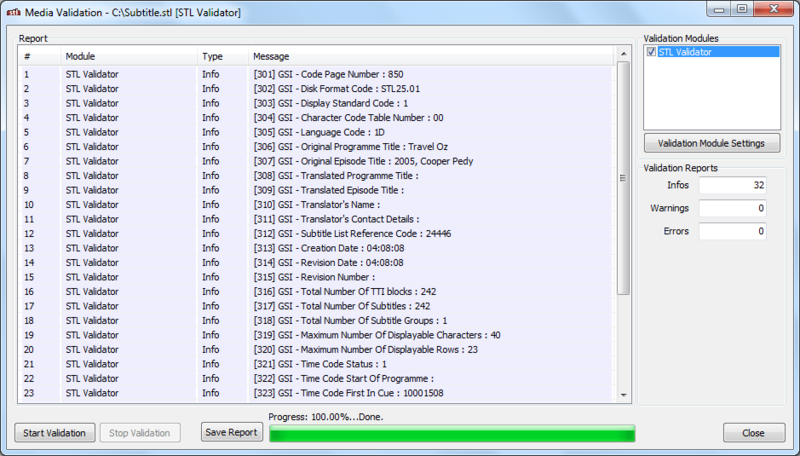 Along with the presentation capabilities, the EBU STL Viewer can perform EBU STL subtitle file format validation. EBU STL Viewer Pro also offers EBU STL files verification and validation according to the EBU TECH 3264 format specification. 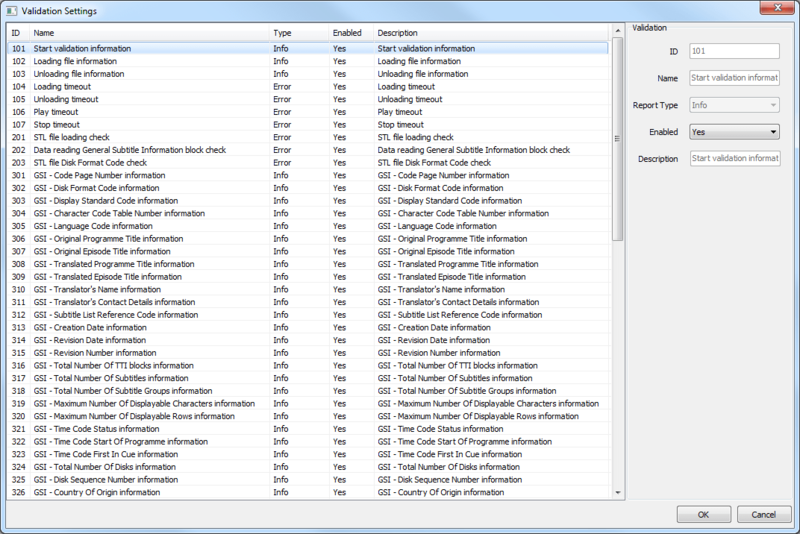 The currently loaded file in the EBU STL Viewer Pro can be validated by selecting “Validation” from the “Tools” menu. 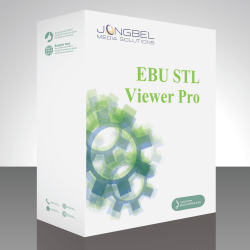 Apart from the manual EBU STL format validation provided in the EBU STL Viewer Pro solution, Jongbel Media Solutions also provides automated EBU STL format validation in its Media Validator solution. Not sure how EBU STL Viewer will work for you? STL Validation Module provides validation of the EBU STL subtitle file, according to the EBU “Specification of the EBU Subtitling data exchange format” – TECH 3264 specification. The validation process examines and validates the internal General Subtitle Information (GSI) block and all Text and Timing Information (TTI) blocks structure. The validation of a single EBU STL subtitle file takes only a few second, thus enabling the product for fast processing of big number of local or remote files. Each EBU STL format check can be disabled or enabled or set to another report type, such as Info, Warning or Error. The solution can be applied in wide variety of workflows and with many container format deviations due to its flexibility and customization ability. For detailed validation check list follow the EBU STL Viewer documentation.